SEATTLE – Nearly two years ago, Amanda Hopkins’ phone rang. It was a call she dreamt of receiving, one that broke barriers and made her a part of baseball history. Almost immediately, her competitiveness took over. The 24-year-old Hopkins is now about to complete her second year as an area scout for the Seattle Mariners. Her responsibility is the Four Corners area of the Southwest, taking her to destinations like Greely, Colorado, and Hobbs, New Mexico, two of the more challenging places to get to from her base in the Phoenix area. She is also the first full-time female baseball scout in more than 50 years, breaking through a barrier that required diligence on her end and willingness by the Mariners organization. Yet, Hopkins does not view herself through that prism or want to be viewed as a trailblazer. She’s a scout. That’s it. While she is believed to be the first full-time baseball scout since Edith Houghton in the middle of the 20th century, Hopkins has been around baseball since she was a child. She traveled with her father to games, regularly making trips to the Alaskan Summer League or the Cape Cod League in summers. She would run the radar gun and pass along the speeds to her dad when she was as young as 8. It was obvious early on she possessed the same critical eye as her dad. “She learned at an early age the difference between a curveball and a slider. As she got older it just sort of grew on her,” Ron said. Instead, her passion for the job only grew. She majored in psychology while playing softball at Central Washington University, yet that failed to satisfy the desire to be around baseball. Hopkins served as an intern in Seattle’s baseball operations department in the summer of 2014, but worked mostly with amateur scouting. A year later, she was sponsored by the Mariners to attend scout school and about a month after returning she got the offer. When she was hired in December 2015, Hopkins was reluctant to talk about her place in baseball history. She wanted more experience as a professional before speaking about a career that was just getting started. “She was down in Arizona in the beginning and I would check on her and finally she said, ‘Tom, I’m OK. You don’t need to check on me every other day,’ ” McNamara recalled. 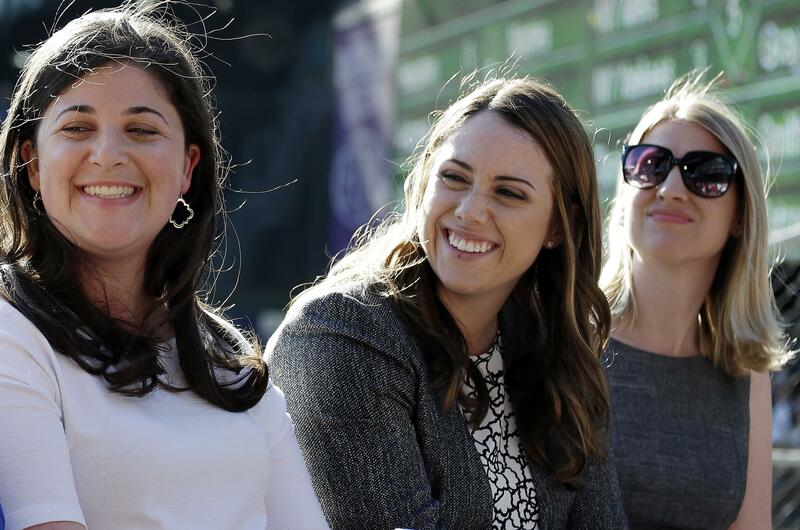 Hopkins was part of a panel earlier this week about women in baseball organized by the Mariners. She is starting to get comfortable with the history she has made. But she doesn’t want that to be her entire story in baseball. Published: Aug. 18, 2017, 6:06 p.m.